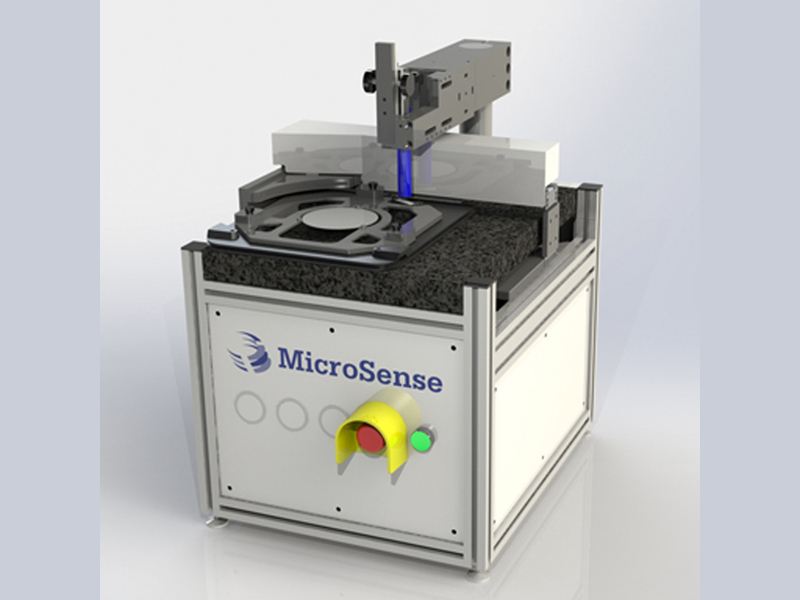 Make automatic, non-contact measurement of thickness, flatness and shape of wafers up to 4″ diameter with this compact system. The system very repeatably measures wafer thickness, TTV, and shape in compliance with SEMI standards. 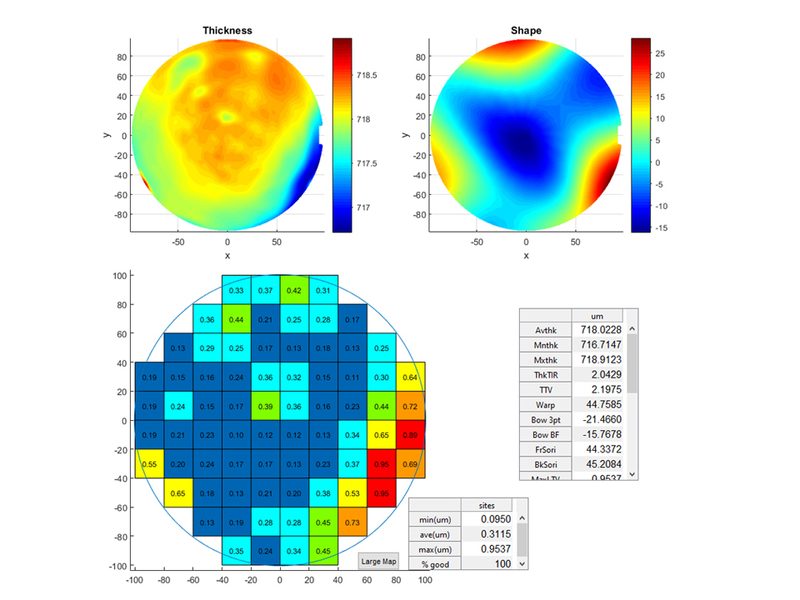 Measure with sub-micron resolution and repeatability. Wafer positioning and wafer measurement are fully automatic. Wafers are manually loaded into the wafer holder. The system features in machine automated calibration.